Imaging encompasses a wide range of techniques that enable visualization of hidden features of samples, structures, or organisms. Imaging occurs at many scales, from medical magnetic resonance imaging of patients to individual atoms. This INSIGHTS on Imaging Systems focuses on the lower end of size domains in the typical operating range of—but not limited to—microscopy. Microscope-based imaging used to be the domain of core facilities and dedicated operator-directors. Today, imaging has become routine—not quite to the “technician” level for all techniques but moving in that direction. Motorized stages and other automation tools are enabling unattended imaging of multiple samples. Confocal systems that once required a dark room now sit on fully lighted laboratory benches. Click here to learn more about Imaging Systems. Challenge Accepted. Building the Twincore, Safest ULT: checked! Z-SC1 Corp. has developed a product which stands out from the others. The safest ultra low temperature freezer on the market. Our support and service network will support you, even though our freezers are considered ‘problem free’ machines. The Twincore features 2 independent compressor systems each capable of maintaining -82C. It’s pull down and pull up times are remarkable as well as its energy efficiency. Twincore includes the WizBox monitoring system which adds peace of mind to your lab making the safest, safer. In addition to being an alarm system, it lets you manage your samples, inventory, history and events remotely. Learn more on the Z-SC1 Corp website. The Elite version of Motic’s established BA410 flagship model displays the highest level of optical performance. A complete set of Plan Apochromatic lenses is now available for maximum demands in colour reproduction and resolution. 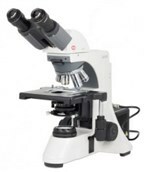 The BA410E allows a profound diagnosis in pathology, haematology and cytology with their requirements for best colour fidelity. Increased Numerical Apertures provide an expanded resolution power for a more detailed specimen evaluation. Read more about the new BA410 ELITE Series on the Motic website. The opaque quality comes from quartz sands of high purity when reduced to a molten state at a temperature of approximately 2000° C. The high temperature produces a vitreous material characterized by the presence of a multitude of gaseous micro-bubbles. These bubbles diffract light, giving the material its opacity. The term opaque silica is mainly used for molded or centrifuged parts, while the product obtained by drawing is normally referred to as translucent. Read more about TGP products on their website. Does anyone know if there are any 3rd party companies that are able to service this equipment? Advise this member. I was asked to look at an AA400 today. Not that familiar with the internals. I have assisted with getting the firmware and Labview Software running and communicating. The reported issue is that when the flame comes on using Acetylene it vents Air from the air line out via the N20 line. The N20 line is not capped and not used. Has anyone seen this problem? It was reported that this issue just started last week. Advise this member. I am currently working on a project working with the QuantStudio 12K Flex. I am talking about its capabilities, special features, how user friendly it is, etc. I will be promoting it to my teachers and class and will carry the knowledge out into my field placement. If anyone is willing to answer a few quick questions about the 12K flex, it would be greatly appreciate it. Advise this member. With the bScreen Berthold Technologies presents a unique instrument for biomolecular interaction studies. The bScreen combines the performance of µArray formats with the information available from label-free technologies. With a footprint of only 66 x 61 cm2 it substitutes a fluorescence µArray reader and a conventional label-free system (e.g. SPR) in a single instrument. Read more. This month Air Master Systems introduces the release of the Gemini System, part of the Solution Series of laboratory furniture. The Gemini System is an adaptable workbench with built-in functionality and unlimited flexibility. The Gemini System can be configured in a multitude of ways as stationary or freestanding making it an excellent choice for renovations. Read more. AXT Pty Ltd announced today the installation of a TESCAN TIMA automated mineralogy system at Northparkes Mines. The copper and gold mine is located near the town of Parkes in central west New South Wales and is owned by CMOC. This installation is particularly significant as it is the first mine site installation of an automated SEM-based minerals analysis system in Australia. Read more. NuAire manufactures ergonomic scientific laboratory equipment providing personnel, product and/or environmental protection in critical research environments. NuAire inspiration has provided life science, drug discovery, microbiology, animal vivarium, pharmacy compounding, and industrial laboratory professionals with scientific laboratory equipment including biological safety cabinets, laboratory incubators, animal research equipment and more. Leadership in the Lab; It Takes An Army! I am using UTM of Jinan Testing Equipment model HLC 200. The problem is with the extensometer supplied with this UTM. I am unable to use it. Can someone tell me how I measure elongation using extensometer on UTM? Advise this member. I'm having an error with my 460 Plus model. Error code A045. Instrument is ON. Laser is on and interferometer moving. I'm can not see the IR source Orange halo. The source give 460hm. I don't have voltage at the IR connector. Can it be the power supply? Advise this member. I work at a power station that has four of these Hydrogen H series Generators. Two of these generators started tripping on A300 flooding and we have done all the trouble shooting like checking the operation of the drain Solenoid Valve which is operating well when it gets a signal to start draining. We have even changed the filters but the problem still persists. What could be the problem and the solution? Advise this member.